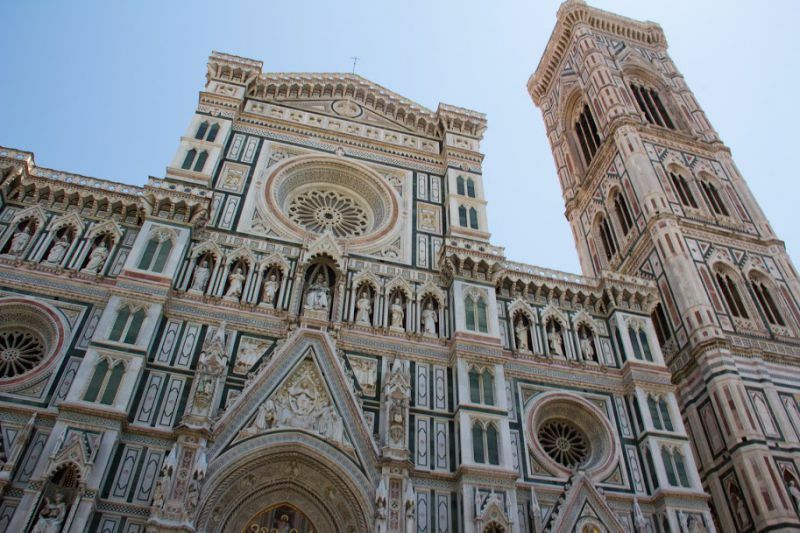 The Florence Cathedral (usually referred to as "Duomo" which means "cathedral" in Italian) is the most popular tourist attraction situated on the central square of Tuscany's capital. Originally it was designed to accommodate up to 100 thousand citizens as it was the number of people living in the city back in 13th century. However, the population reduced to 30 thousand. The church is considered to be the biggest and most spacious temple in Europe. The Opera del Duomo Museum. The Florence Cathedral was built in 13th century in prospering Florence, during its rivalry with Pisa and Sienna in mightiness. 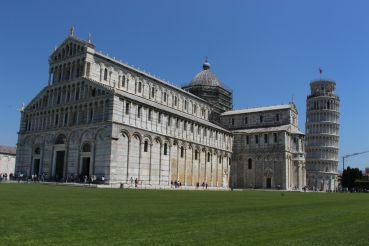 The old Santa Reparata cathedral in Florence couldn’t accommodate a required number of people and Pisa had already started building a new temple at the time. As a result, the Florence government invited Siennese architect Arnolfo di Cambio, and then in 1296, the foundations for the construction of the future cathedral were laid. It was under construction for over a century, and at least six architects had been working on it. Arnolfo di Cambio, Giotto di Bondone, Francesco Talenti, Filippo Brunelleschi were those, who made the biggest contribution. 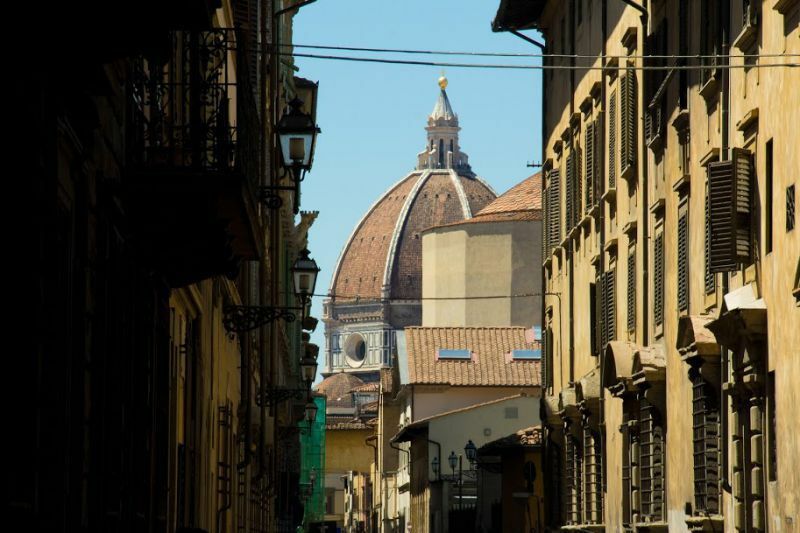 It is worth noting that Brunelleschi and Giotto were buried within the Florence Cathedral territory. Giotto's bell tower (campanile) had been completed by 1359. It was built separately from the cathedral, and now it is believed to be one of the prime examples of the gothic architecture. The building was finished by Francesco Talenti. As soon as you manage to walk up 414 steps, you will get to the observation deck, where the tower offers a panoramic view of Florence. Apart from anything else, you can behold the dome of the Florence Cathedral from here as close as possible. You can get to the dome itself as well. The interior of the Florence Cathedral is as impressive as the exterior. Notice the clock on the inside, that ticks backward. It was made by Paolo Uccello in 1443, and it still works to date. Paolo Uccello created one more interesting artwork – a monument, dedicated to John Hawkwood, English condottiere, who fought for Florence. Also, don’t forget to take a look at the depiction of Dante and his “Divine Comedy” on the walls of the church. The bas-relief of the painter and architect Giotto working on a mosaic strikes the eye too. Colored polychromatic marble floor and stained-glass windows are just as fantastic. Baptistery is a building, intended for baptism. Named after John the Baptist, the Baptistery of Saint John dates back to 5th century and remains the oldest building on Piazza del Duomo in Florence. Marble cladding dates to 12th century. The Baptistery has few entrances. The Eastern Gate, created by Lorenzo Ghiberti in the middle of 15th century, is thought to be the most famous. It has scenes from New Testament depicted on it. About 50 years later Michelangelo admiringly called the Eastern Gate “Gates of Paradise.” Today real gate panels can be found in The Opera del Duomo Museum and the copied ones – on the Eastern Gate itself. In the Opera del Duomo Museum you can discover masterpieces of Donatello, Michelangelo, Nanni di Banco and other Renaissance artists. As it was mentioned before, the authentic panels of “Gates of Paradise” by Lorenzo Ghiberti are kept inside the museum. It is also known as Museo del Duomo. 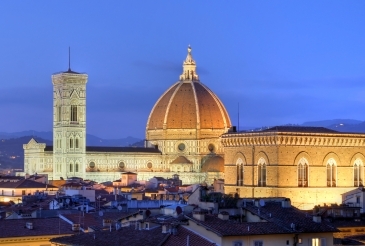 It was opened in 1891, and it contains a high number of masterpieces, which Florence Cathedral previously possessed. There are lots of religious utensils, unfinished artworks of great painters and many other things. The museum is located behind the apse of the Florence Cathedral, in a place, that once served as a studio for Brunelleschi and Donatello. As a matter of fact, today there are restoration workshops as well. The closest bus stop to the Florence Cathedral is called “Studio.” Public transport №1 and №3 pass said bus stop. Also the bus stop “Olio” is not far away too, and bus C2 passes it. 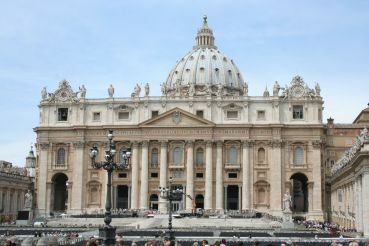 All three buses mentioned above pass through the “Roma Duomo” stop, which is close to the church as well. 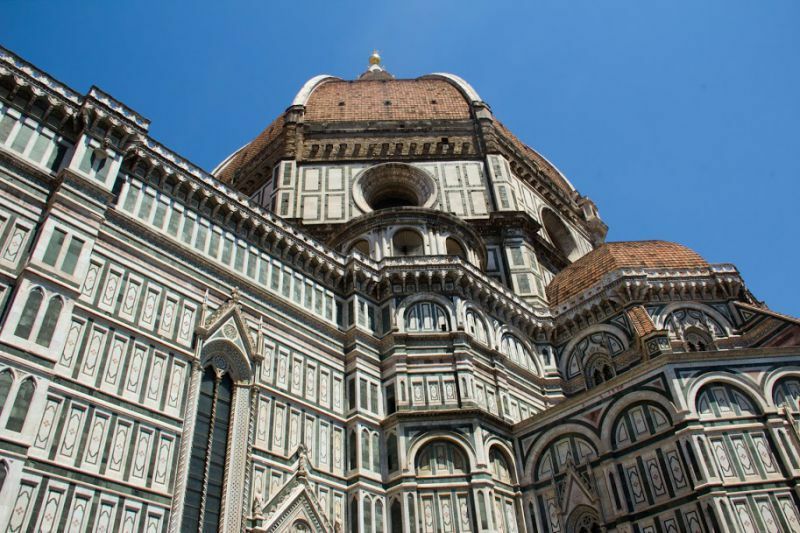 Admission: you can visit Florence Cathedral for free. Although if you want to go up on the bell tower or the dome, you’ll need to purchase tickets. Working hours: the cathedral welcomes visitors from 10 a.m. to 5 p.m. The dome is open from 8:30 a.m. to 7 p.m., the bell tower opens 15 minutes earlier. The museum works from 9 a.m. to 7 p.m. The working hours might change.